While each year sees tons of new fake products “launched” on April Fools’ Day, (just take a look at this year’s round up of brand gags: Brands play April Fools’ pranks) here are some brands that actually debuted or marketed real ones around the prank season. Amazon is one clever brand to do this. A day before April Fools’ Day, the e-commerce retailer debuted Dash – a physical button that lets its customers order items with a push of a button. Amazon’s one-click feature takes a real-form of a small plastic hardware that you can stick on walls for on-the-go shopping. Shoppers can order for more products whenever they need them. Run out of coffee? Press the coffee button. Is your favourite detergent running out? Just hit the detergent button. Any time you need more diapers, shampoo, toothpaste or what-have-you and you find yourself too lazy to run to the store, the dash button takes care of that and ships your necessity with a push of a button. 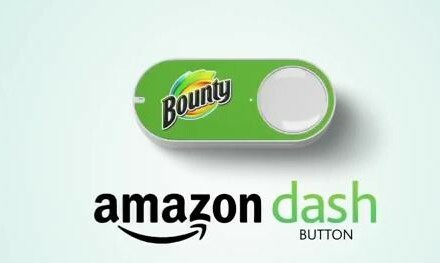 I think the Amazon Dash is both idiotic and brilliant. Another brand eager to pick up traction on April Fools’ was MINI Cooper that launched a game on its Facebook site to market its MINI 5 – a five- door MINI launched last year. Rod Strother, director of digital and social centre of excellence for Lenovo Singapore, highlighted that marketing content on April Fools’ day should be about adding value for the consumers.“In cases such as this, adding value could be something as simple as putting a smile on our communities’ faces. Obviously any piece that we put out still has to feel like it’s coming from the brand regardless of the timing of the piece – in fact, if it’s for April it’s probably essential it looks like it’s coming from the brand. Otherwise no one is going to be fooled.”Strother also cautioned marketers who may have a wrong agenda in promoting their products on April Fools’ Day. “I don’t know about using this day specifically as one to release product communication. If you’re using the rationale that people will click through to read it, then you have to assume that they are in a specific frame of mind when they do that. However, BMW did it again – successfully – when it marketed its brand new BMW 1 Series right on April Fools’ day. The marketing stunt came in the form of a generous giveaway from the car brand. NZ Herald printed a seemingly bogus ad on the front page, inviting people to swap their car at the Newmarket for a brand new BMW 1 Series. The first person to do so, the ad claimed, would be rewarded with the new car. The BMW prize featured the personalised number plates NOF00L plus a five-year warranty. The video of the surprise giveaway has had more than one million views on YouTube.